A very brief biography of leading Spanish anarcho-syndicalist militant, Francisco Ascaso, who was killed on the dawn of the Spanish revolution. Imprisoned in 1923 for the assassination of Zaragoza's archbishop, Ascaso escaped, joining Durruti in France and traveling to the Americas. They returned to Europe by April 1926, and by 1931 Ascaso was back in Spain as one of the leading radicals of the movement. Deported to Africa in 1932, he returned with enhanced prestige, battling moderate forces both as an editor of Solidaridad Obrera (Workers' Solidarity) and as secretary of the Catalan CNT during 1934–5. Critical of the policies of the Asturian CNT, he opposed alliances with political organizations. 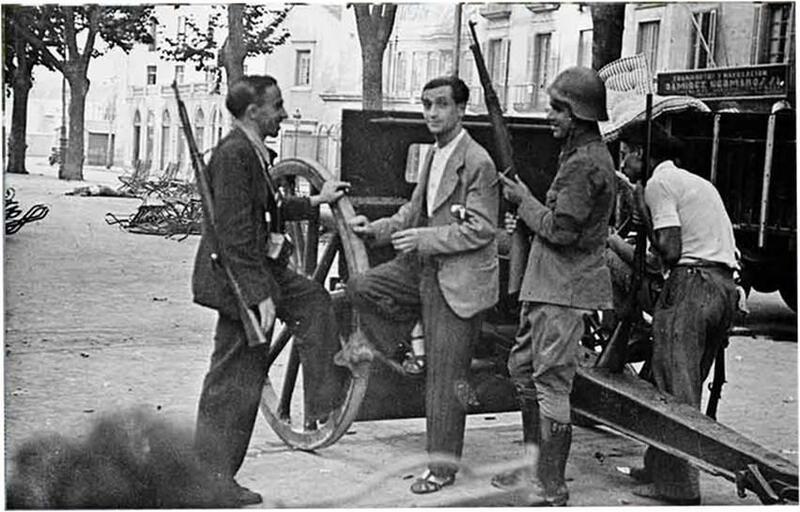 Ascaso supported the formation of armed militia from CNT members and was at the forefront of the street battles in the 1936 Spanish revolution; he died on July 20 during the struggle for Barcelona's Atarazanas Barracks.